Washington, Jan. 20 (CNA) The gist of President Ma Ying-jeou's East China Sea peace initiative is consistent with the U.S. stance on the territorial dispute over the Diaoyutai Islands in the region, Taiwan's top representative in the United States said Sunday. Citing a recent call by U.S. Secretary of State Hillary Clinton for China and Japan to take steps to prevent incidents and manage disagreements over the Diaoyutais through peaceful means, King Pu-tsung said the U.S. governemnt does not want to see any dangerous flare-up of tension among the claimants to the islands. Located some 100 nautical miles northeast of Taiwan, the island chain has been under Japan's administrative control since 1972, but is also claimed by Taiwan and China. The long-simmering row came to a head last September after the Japanese government bought three of the islets from their private owner in an attempt to reinforce its sovereignty claim. King said that Ma's East China Sea peace initiative is the best way to address the sovereignty row and that it complies with the U.S. stance on the issue. Ma's initiative calls for all parties to refrain from provocation, shelve their differences, maintain dialogue, observe international law and resolve the dispute by peaceful means. King noted that Taiwan and Japan have held preparatory consultations on a 17th round of fishery talks aimed at avoiding fishing disputes in the waters around the Diaoyutais. "Both sides feel that such talks are constructive and have positive attitudes toward these kinds of engagements," King said on the sidelines of a dinner party honoring a Taiwanese delegation to U.S. President Barack Obama's Jan. 21 inauguration to his second term. 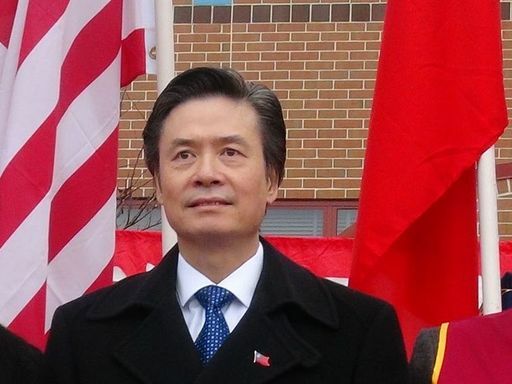 King further said that the Republic of China has no intention of forming a partnership with Beijing to address the Diaoyutais dispute because the island chain is an inherent part of ROC territory.